Most people associate Switzerland with mountains, chocolates, watches, and Swiss Army knives. They also think of a peaceful and neutral country that’s fanatic about avoiding war, and would certainly never invade a neighbor! Well, they’re wrong – just ask Liechtenstein. 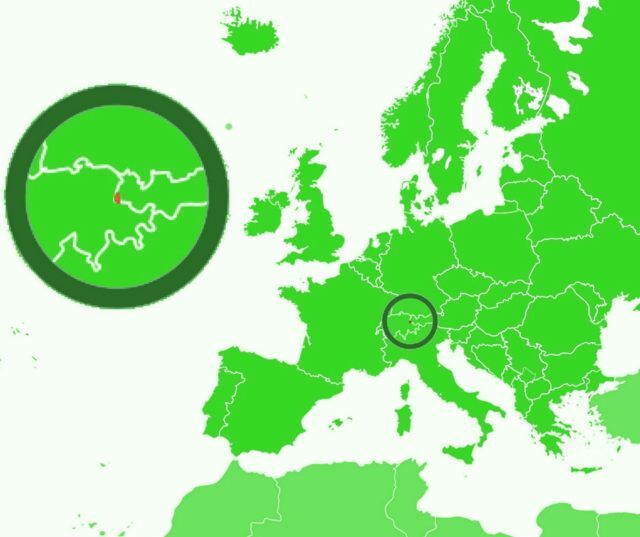 Liechtenstein is so small that most non-Europeans don’t even know it exists. Measuring only 62 square miles, it’s smaller than Washington, DC (68.34 square miles), or almost three times the size of Manhattan (22.82 square miles). With a population of only about 37,000 people, it shares borders with Switzerland to the west and south, as well as with Austria to the east and north. Now don’t let that fool you. It’s among the richest countries in the world with one of the lowest unemployment rates. But it does lack two things. The first is an airport. To fly in, you have to use the nearest one at Zürich in Switzerland. The second is a military. 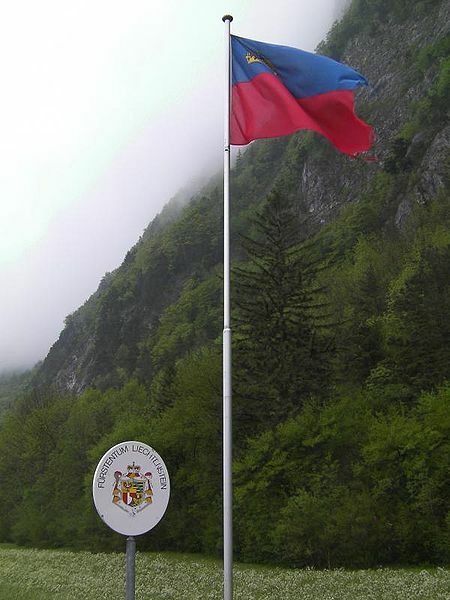 Liechtenstein disbanded its own in 1868 – making it one of the 22 countries in the world today without any armed forces. To make up for it, they’ve become the world’s largest producer of false teeth. Though false teeth may be good for the economy, they’re completely useless for defense unless you use them as projectiles. Which probably explains why Switzerland couldn’t resist invading them. Three times! Straight into Liechtenstein’s Bannwald forest. 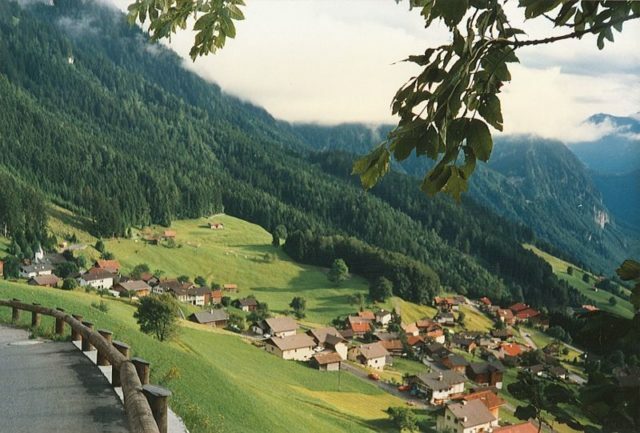 An alpine country ruled by a prince (the only one in Europe with real political power), Liechtenstein is heavily forested. Fire and wood make an excellent combination – made even more so when there are strong winds blowing about. Which explains why the rockets caused massive forest fires. Although Switzerland and Liechtenstein had normally enjoyed a friendly relationship, this one caused a long diplomatic ruckus. The argument focused on whether or not the wind was responsible, or if it was due to faulty equipment. The answer mattered because if it was the latter, then the Swiss (who don’t produce missiles) were not fully responsible. Fortunately, no one was hurt or killed, and the Swiss eventually paid Liechtenstein millions of Swiss francs in compensation for the environmental outrage. Rumor has it that the entire affair was eventually settled over a case of white wine (or two) and perhaps some fondue. End of story, right? Far from it. Because on October 13, 1992, Switzerland struck again! Swiss Army cadets were on maneuvers when they received written instructions to set up an observation post in Treisenberg. That’s a small, picturesque village with a population of about 2,564 people. What makes it particularly unique, however, is that they speak a distinct German dialect that dates all the way back to the 14th century. 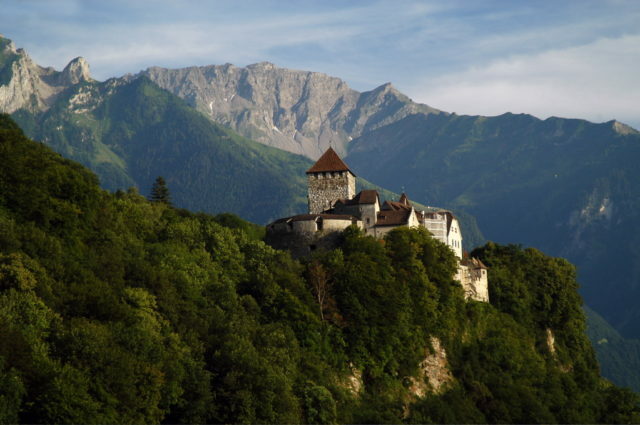 It also measures 11.58 square miles, making it one of the biggest municipalities… in Liechtenstein. Curiously enough, the Swiss Army leadership had forgotten that Treisenberg is in another country. So had the cadets, apparently, until some of the curious locals asked them what the heck they thought they were doing. It must have been rather awkward. 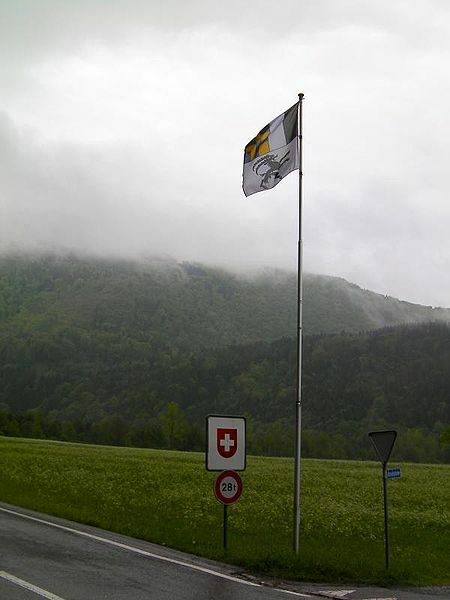 In the Cadets’ defense, no border posts exist between Switzerland and Liechtenstein. 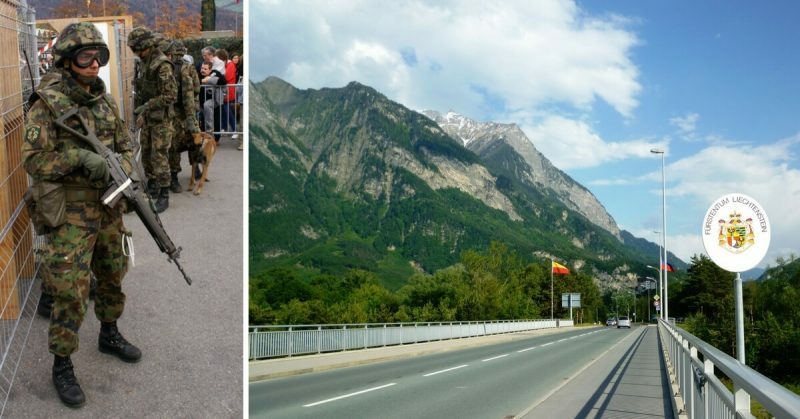 Both countries speak the same German dialect (save for the one in Treisenberg), citizens of each do not need visas to cross the border, and they use the same currency. 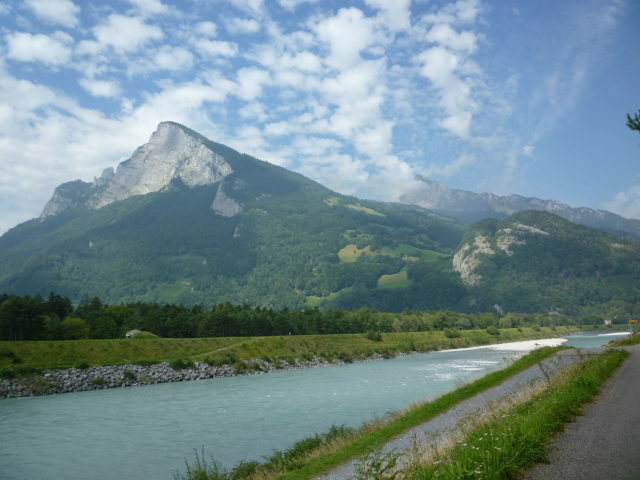 As such, Swiss nationals tend to view Liechtenstein as sort of their 27th state. By agreement, Switzerland is not only responsible for Liechtenstein’s security, but it also has the power to represent the latter in some diplomatic situations. There’s another curious thing about the second invasion, however. Though they were on military maneuvers and armed with rifles, none of the men carried any ammo, whatsoever. Military service is mandatory for all Swiss men, and each keeps an assault rifle at home, so the cadets must have brought theirs along for ballast… or something. Fortunately, no damage was done to Liechtenstein property, so no compensation was required, this time. The damage to Swiss prestige was otherwise, however, enflaming an already sensitive debate about doing away with their armed forces – an argument that’s still ongoing as of 2016. So that should have been the end of that, yes? Umm… no. Fast forward to March 1, 2007. It was a dark and stormy Thursday night as 171 Swiss Army infantry soldiers went on training maneuvers. Though armed with their trusty Swiss Army knives, the version they had apparently carried neither a compass nor a GPS. 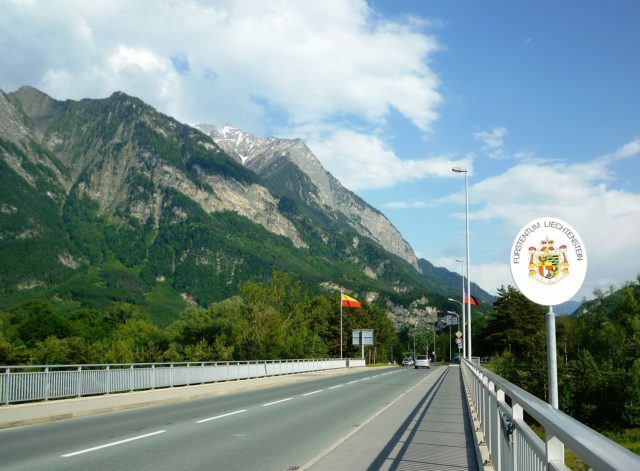 Border between Switzerland and Liechtenstein. Then the weather went from bad to worse as a heavy downpour blasted the men. At least that’s the official explanation given as to why they ended up on Liechtenstein soil, yet again. By early morning, they had made it over a mile into foreign territory before someone realized that they were no longer in Switzerland. That was when the company commander ordered an about-face back home. Swiss officials downplayed the incident and expressed confidence that no political repercussions would result. Most Swiss papers didn’t even bother to cover the story, officially because it was a non-event. Unofficially, they were probably dying of embarrassment. And a good thing, too, or the Swiss might have ended up in Austria.